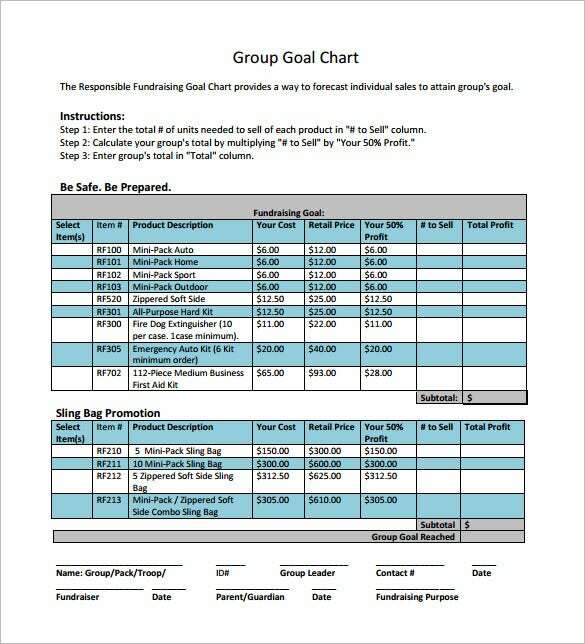 Goal Chart Template – 9+ Free Sample, Example, Format Download! With the dawn of each New Year, everyday resolves to abide by certain goals but soon such a zeal is lost over time. This is why it is very important to maintain a goal chart template that will keep you alert about the goals you have promised to achieve. The goals could be like anything from quitting smoking or higher studies to better your career. 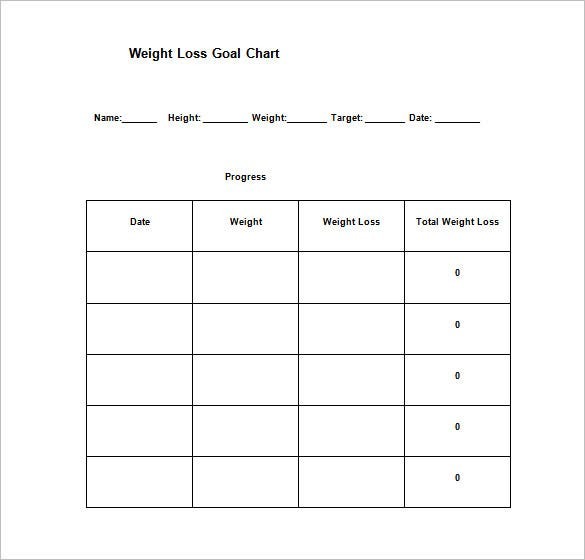 The weight loss goal chart is a simple chart which asks for information like name, height, weight (initial), target and date. It also notes down the weight in a chronological order to show the net weight loss or gain over the period. 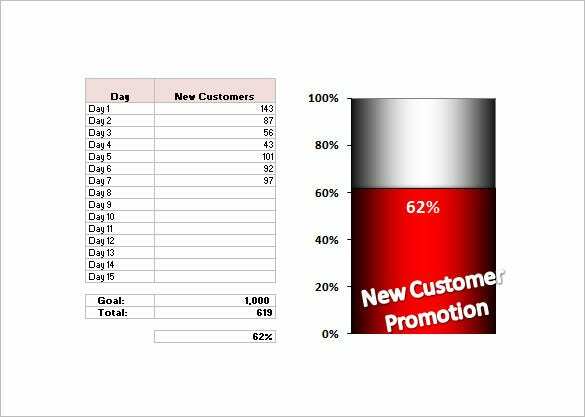 cdcontent.books24x7.com | This is a thermometer goal chart – useful for keeping track of the new customers you earned for your business on a particular day. In the first column you specify the customer names, in the other, you write the respective days. 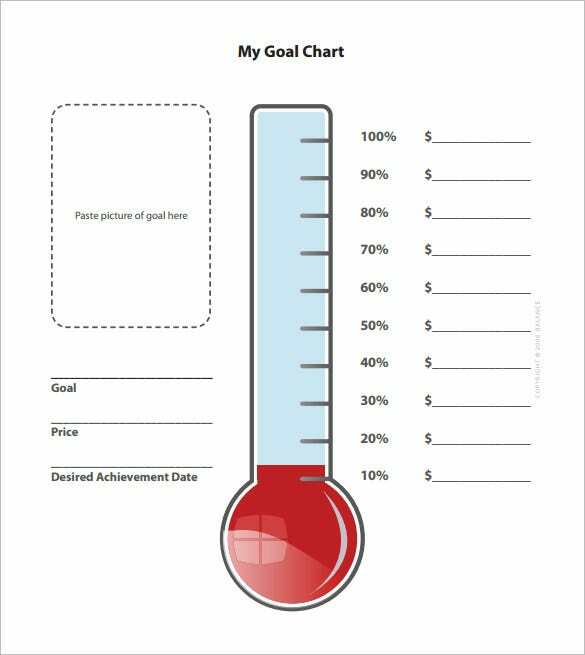 The chart is ideal for employees to keep tabs on their work goals. 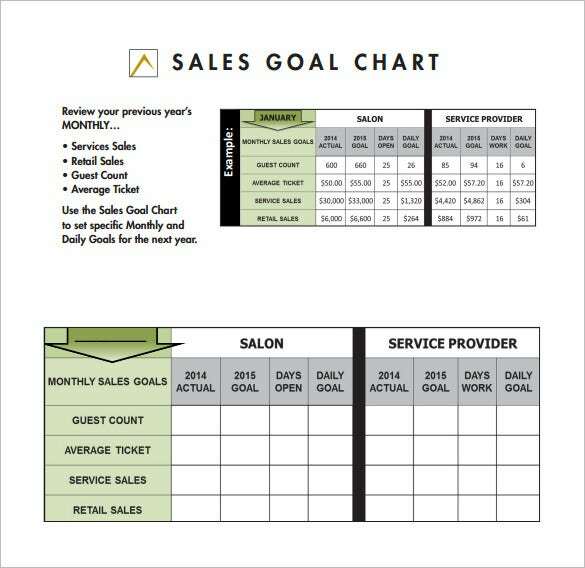 summitsalon.com | The sales goal chart gives an example of the chart and a new chart which is to be filled with data. A simple intuitive chart that shows the amount of work done and the goal that is to be completed by that month. balancepro.net | Setting personal life goals? Need a chart which lets you jot down the minutest details of each goal? Well, this goal chart is the best option. 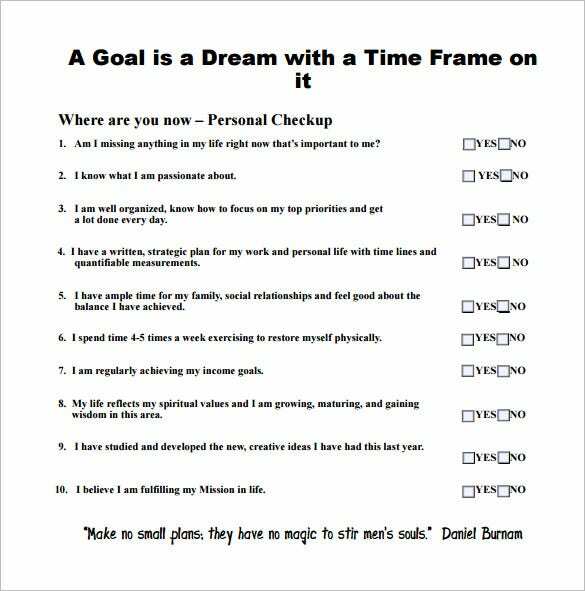 You write down the life goal, specify time and date of completion – and we bet, that would motivate you to get it accomplished before the set deadline. elliottfamilyquartet.com | This is a fun weekly goal tracking chart which helps you to measure your commitment towards your goals with different parameters (expressed through circles) like “never” or “sometimes” or “always” etc. 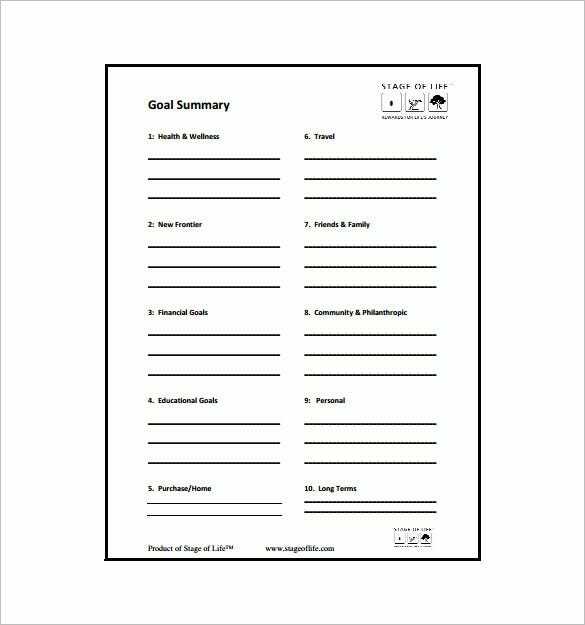 stageoflife.com | If you are a person that has life goals divided into many categories, well, this goal chart sample should be your go-to template. This chart is apt to be utilized for different life stages – health and wellness, financial goal, long term goals etc, can be easily jotted down on this chart. Easy to download and customize! 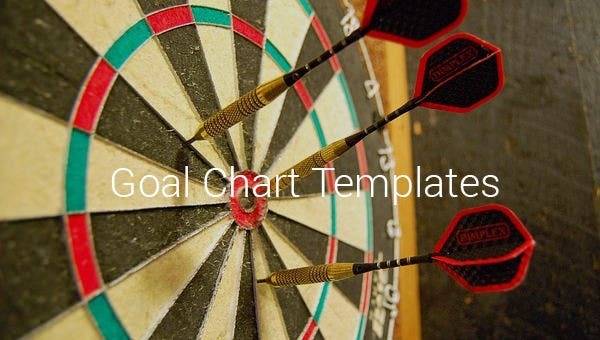 48days.com | The sample goal chart is an intuitive chart that is used to understand the particular goal of life. It helps the person understand the goal and also lets them know whether they are moving forward or not.